I play F8 standard length from 5i-7i all with a 63 degree lie. I play the one length from 8i-56 wedge, all 8i length and 63 degree lie. 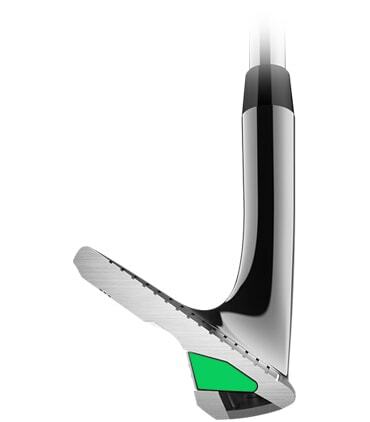 My 60 degree is the PUR WideLow and is 1" longer then stock but 1/2" shorter than 8i length, also 63 degree lie. This has really helped with my shot making. 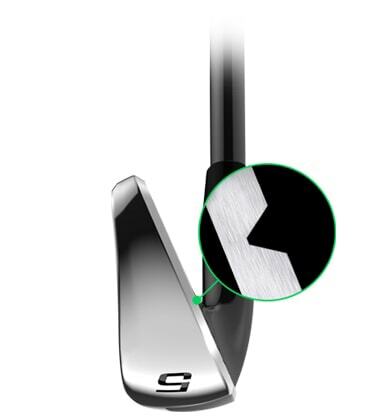 I play more of a single plane swing and the same lie really helps as does the one length on the 8i down. Irons look really good too. Had a set of single length from a different manufacture before, this is my second set and what a difference in feel and an additional 10 yards from each club. 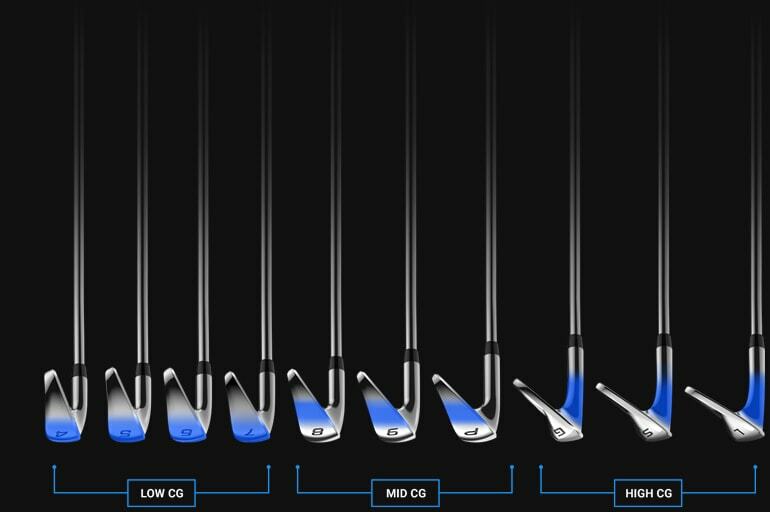 I am playing F8 One Length clubs (from SW to Hybrid 3) now for about 8 weeks and effect is amazing. I always had problems with the consistency during a round, especially when playing 18 holes. I always got tired, because of my hemiparesis on the right hand side. It was very difficult to handle all clubs with their different weights and length through a round. 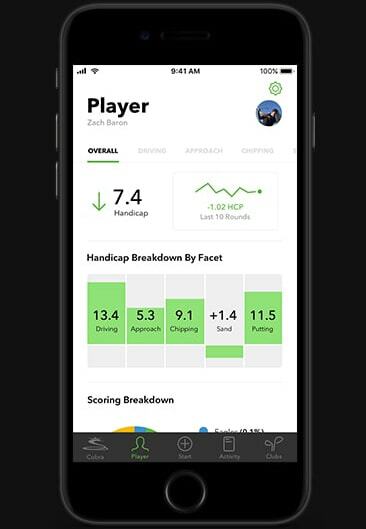 Now it's much easier for me, and I can play my handicap or better every round. 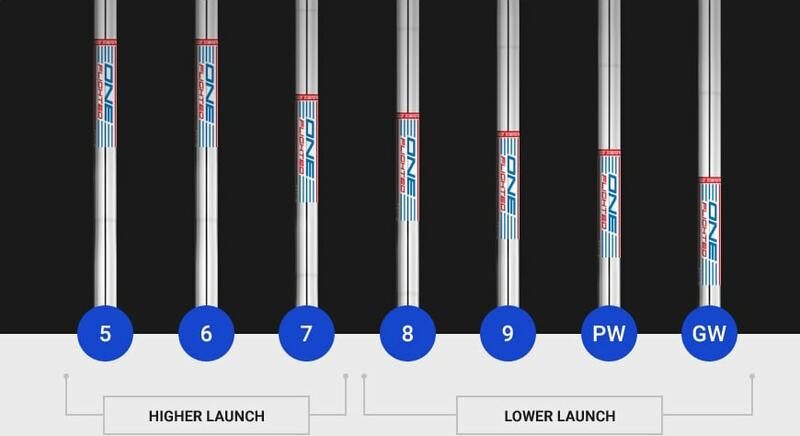 I recently purchased 4-pw with recoil 460 shafts. Very easy to hit. I'm fairly new to the game and one length works for me cause I dont have to worry about ball position. Plus the Arcoss is cool and can track stats. Absolutely the best Clubs I’ve ever had in my life. It is extremely easy to hit. Don’t have to think of anything to swing. And this spin I’m getting with all the shots are amazing. Paired with the volvik s4 pro ball! It’s unbelievable the performance! Hit an easy 205 shot into par 5! If you’re playing standard length you’re crazy! Way to go Bryson. My wife and I both play F8 one length irons and we are convinced this is the best way golf. Congrats on the W.
I wasn't a believer in the single length concept until I actually gave them a try. Very happy I did. Been playing for a bout a month with my new irons and they are worth every penny. Easy to hit, more consistent. Took awhile to get use to the short irons but all in all, just excellent. You failed to meet the objective and the purpose of one length irons. On the cast set you failed to offer identical loft gaping and failed to offer an identical lie throughout the set. On the forged one length set you offered one lie but failed to offer one loft gaping throughout the set. On both sets you failed to offer identical offset on each iron. Why? 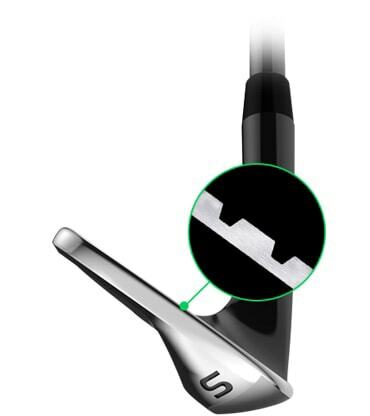 Once you offer identical loft gaping throughout the entire set (and it should be 4 or 5 degrees) and once you offer personal fitting to determine a players lie (it needs to be based upon a players hand height at address) and once you offer the same offset throughout the set, you will have succeeded in making a truly one length set of irons by removing all of the variables that affect consistency. You also need to do the same for the driver and the fairway metals. 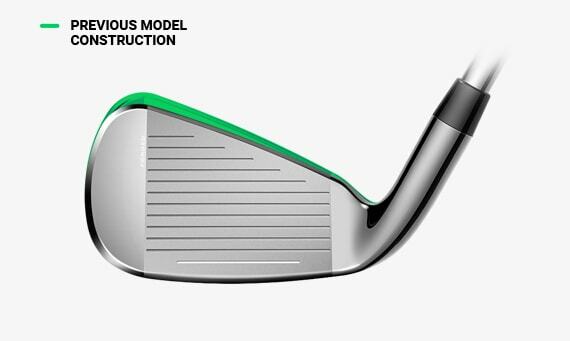 Once you have incorporated the three aforementioned changes, you will have succeeded in making the best set of golf clubs ever made and possibly the highest selling set of golf clubs in history by marketing the fact that all variables that affect consistency have been removed. I am hopeful and looking forward with great anticipation that you will make the changes in the 2019 one length model. I'm 70. 12 Hdcp and stopped looking for distance from my irons. My decision was trying to get consistent. These clubs are the real thing. 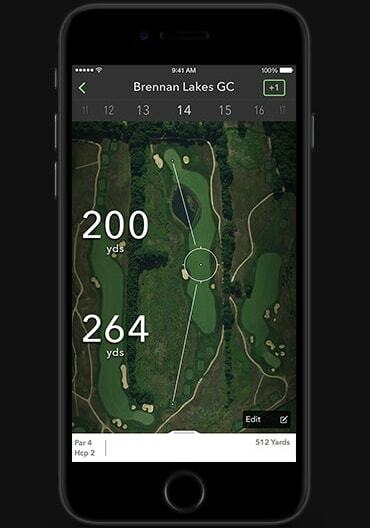 Easy to be in the correct position no matter what the yardage is. My posture is better and I'm hitting everything in the middle of the club. (after 2 rounds and 500 balls on the range) Nothing happens with the TV clicker in your hand, so I practice. LOL. The strange thing is I picked up 5-6 yards per iron. 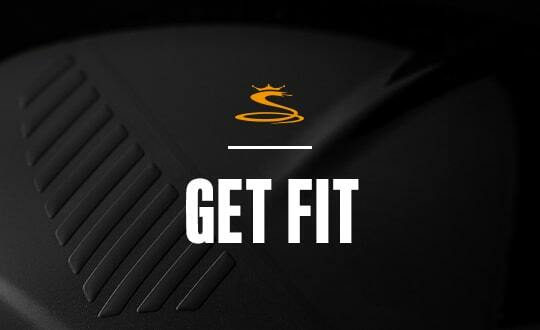 If your looking for something different to improve your game these clubs are it. I've owned everything and I practice so if your like me don't be fearful about the investment or worried about making changes. Bryson may be a little strange be he's on to something here. By the way, forget about the 1 plane swing. Not necessary. Trying to get used to these one length irons. Will get there but it's going to take a little work. The concept is valid, one swing makes sense but erasing old habits won't be easy. Irons are easy to hit, distance varies a little but they feel and sound great. After spending some time doing some research on the one length F8 irons I purchased the 5-G steel set. All I can say is wow. Took them to the range to hit some balls to get a feel for them along with the yardages. 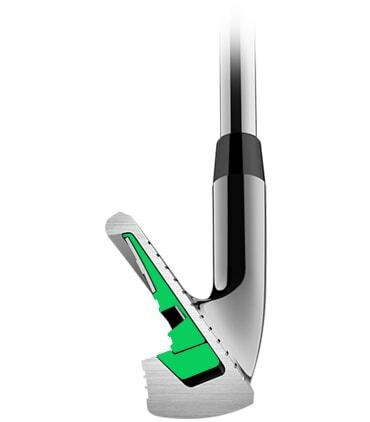 All I can say is these irons are real easy to hit and the ball just goes straight and long. I couldn't tell you the last time I've been able to hit a 5 or 6 iron as far as I'm hitting it. Still need to get a little more comfortable with the P and G wedges when it comes to the length of the club. If you've been on the fence about trying one length all I can say is try it. My first time on the course with them and I had my best round ever there. Of course driving and putting come into play, but when it came to hitting my shot into the greens I was money with them. Very happy and can't wait to hit the links again with them!!! Also the cobra connect was easy to get started and I look forward to using it more as the GPS was matching my range finder. Only thing I don't like about the cobra connect is having to have my phone in my pocket. 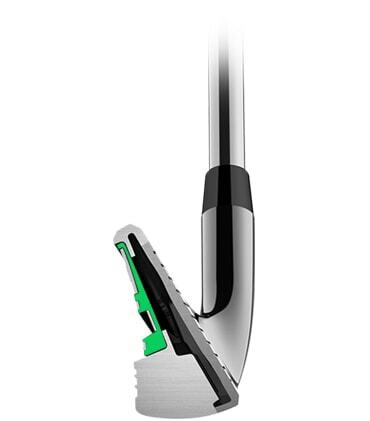 I liked what I read about this product...I like the part about the length of the staffs are all the same...like a seven iron...so smart on your part. 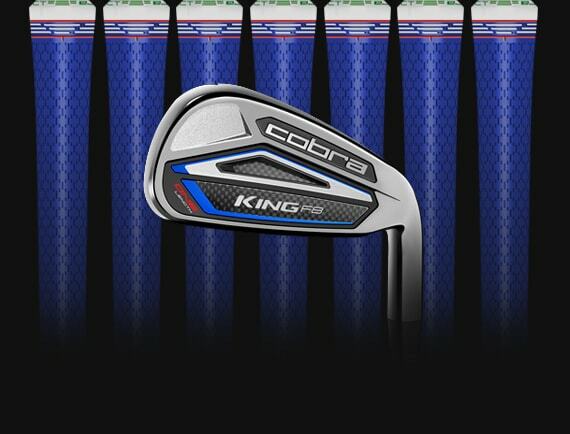 I’m so impressed...I am going to purchase a set of King Cobra F8 One Length Irons today. I picked up a set of one-length and just finished my third round with them. 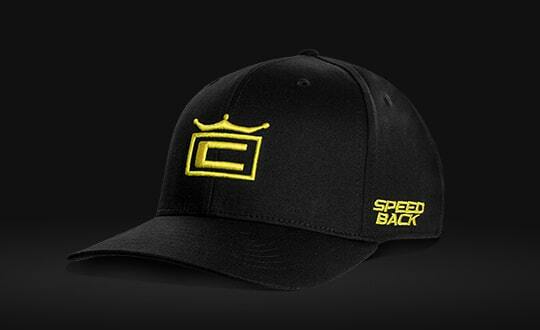 I am a mid-handicapper and was looking for a new edge. These are extremely comfortable and have greatly reduced my misses. The length is the same for 7-gap and longer for clubs above 6-4. The longer Gap and PW took little time to adjust to and the longer irons are a breeze at set-up of course. I am very pleased with them and love the consistency in my game! 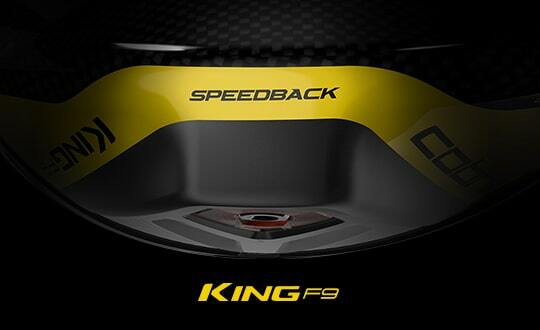 This system was included with the purchase of my new Cobra King F8 irons. I absolutely love it! 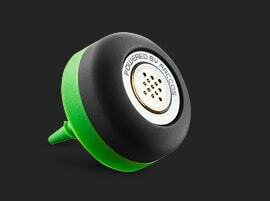 I was hesitant to use it at first because I was worried about draining my phone battery. That was a non-issue, fortunately. Very easy to set up and sync each club, very easy to download and setup app on iPhone. The system works very well, I couldn't be happier! Really shows you the weak part of your game and what you need to work on. I have no doubt that this will help me take a few strokes off my handicap. The idea of a set of irons at the same length as my 7-iron appealed to my sense of logic. By coincidence, my 7-iron was the club in my bag that felt the most comfortable in my stance and the one that was most consistent for distance. Now I own an entire set of irons at the same ideal length. Out of the bag first trip to the driving range I saw 10+ yards further with the new 7-iron. Loft and trajectory on the wedges were superb. Around the greens I'll need to work on the oddity of chipping and pitching with this length club. Feels funny but I'll practice and adapt. Even the long clubs, 4 & 5, are a comfortable length since they are the same length as my normal 7. The result is better control. 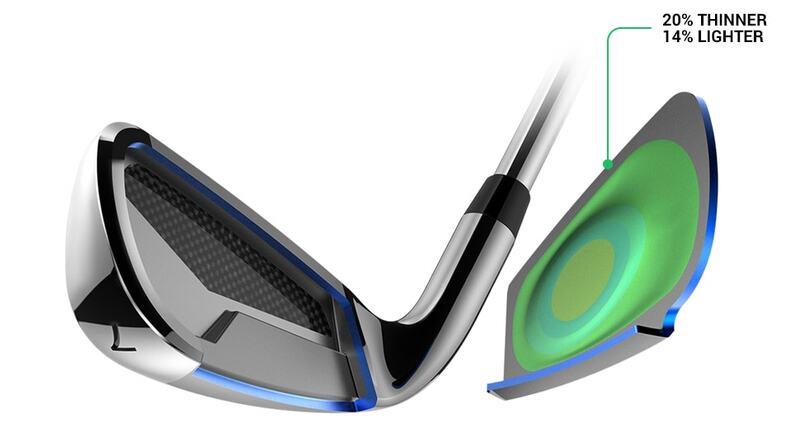 The technology and design make sense, club loft and lie is calculated for ideal shots at the same length so each club behaves as it should and I'm enjoying a standardized stance and swing. 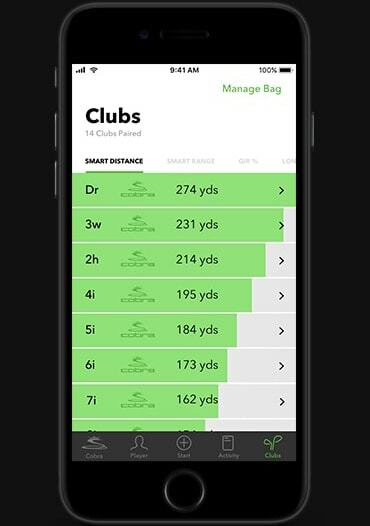 Next step is to setup my Connect app with my sensor equipped clubs! Switched over from sterlings when the F8s came out. Glad I did, the long irons fly higher and more consistent, the feel is awesome, like literally some of the best feeling clubs I’ve played. I’ve got the 5-GW and I now love 200 years aproach shots, a bogey used to be my best case scenario from that distance. Well done cobra. Just recently had these clubs, i have to say i am thus far very pleased. I was a little apprehensive about changing to One length, but finding the switch very easy. The ( we will call them long irons) are a joy to hit, no long feeling concerned about the extra length, and I am finding no problem getting them up in the air. The (we will call them short irons) are a little strange at first, being 2inch longer, but i have found them a joy chipping around the green. Early days, but glad i took the plunge. This is my second set of cobra one lengths. Love these clubs. Took about 3-4 rounds for me to mentally get used to them but after that I’ve played my best golf ever. I am much more consistent and they are much better on my arthritic knee. The 2017 set was great, the 2018 set even better. I play one length currently and these are ok. My current version are considered Pro, so maybe thats my issue. I wasn’t sure of the same length shaft concept. 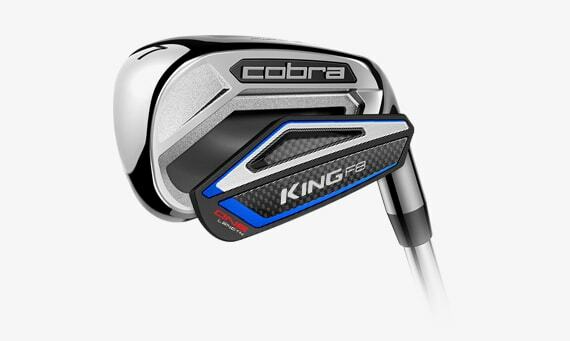 I played my first round with the Cobra F8 irons today and I’m sold on them. I’m still in the learning process obviously but these irons were a pleasant surprise.. I’m keeping these and getting rid of my other brand of irons..
love the same size shafts...feel like i can bring better control and accuracy to my long irons. love the built in arrcos technology. Bought the clubs after watching Bryson play. This is my first set of Cobras and I love them. Even if you keep your traditional swing they are worth a try. I was skeptical about one length irons, but i absolutely love them. I wished i would have switched sooner. Love the look and feel of my new F8 One Length irons. I customized with the senior lite graphite shafts. Looking forward to spring in western nys. Can’t wait to use my new 4 thru LW irons. Love the same set up theory. Like the flights and weighting. Con as mentioned the chrome finish is weak the end of my clubs are dull with scrapes from simply taking divots. I have hit one shot off the toe thus far and completely tarnished the toe. I will be looking to get the toes dipped and or refinished maybe blue. Played f7 for a year and want the F8 already sold. Great work. Ordered these from Peter , very knowledgeable and personable. Got the set 5-lw (9) clubs. 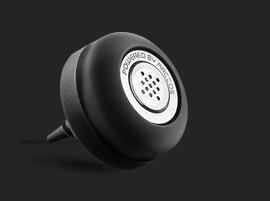 Sound,feel, ball flight absolutely awesome!!!! Love these clubs, could not be happier with this purchase. This is the first set of one length (OL) irons I have bought from Cobra. I did toy with the PinHawks SL for a while at the range but never liked the sole or the quality of the hits, so I started looking at the F7 OL irons - they were very nice especially the Forged One irons. I was going to order the F7 but then the F8 came out - this set is now in my bag. I have the 4 iron thru Pitching Wedge. My wedges 50*, 52* and 56* remain variable length. PROS - One of the best aspect of OL is definitely the EASE & consistency of hitting shots with the irons, from PW thru to 4 - it's all 7 iron length. No more fat or thin shots. 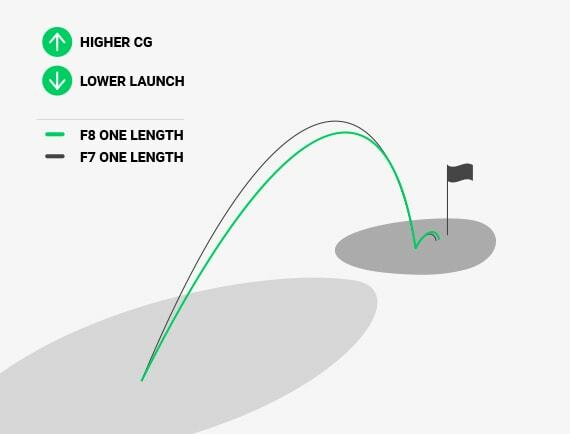 At the range, you're working on the one single swing plane, just bring one club. 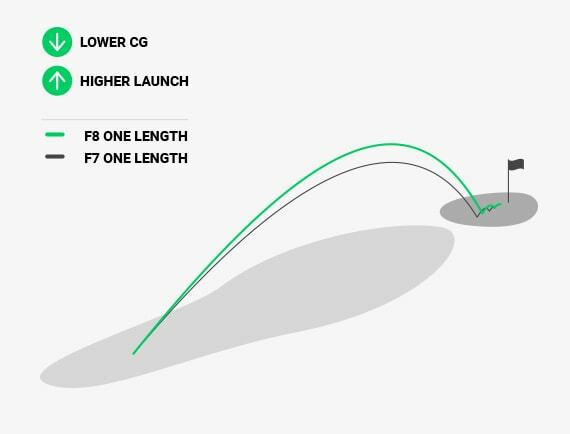 One thing though, the F8 have variable lie angle. Now it is noticeable going from PW directly 4 iron (PW is flatter while 4 iron is steeper) but it didn't effect my swing. Form what I can see, the variable lie is by design from Cobra's research and experience so I am not going to argue with them, it still works out fine for me. The 4 iron is sweet to hit and so is the Pitching wedge. CONS - being a new golfer to the One Length world, I am still trying to wrap my head around how fast to swing. 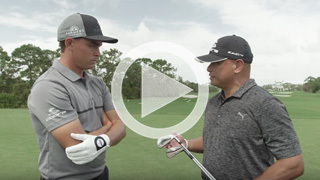 Should I swing the 4 iron faster than the Pitching or same speed? 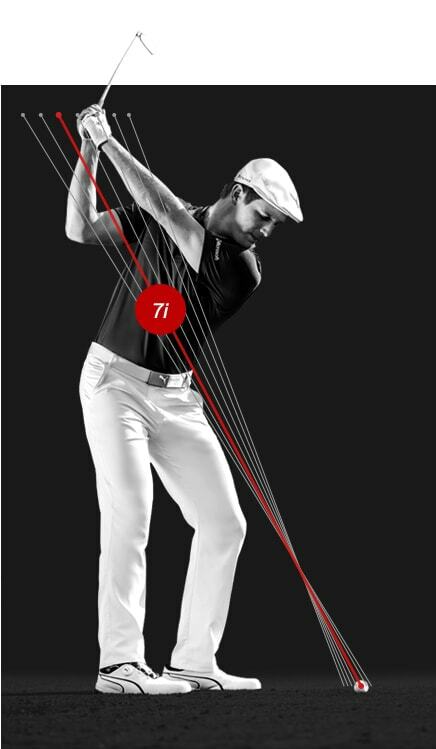 Where is the right & optimal ball position - the 4 iron in the variable length is usually played forward but now it's more middle. These are the new "variables" that us individual golfers need to sort out by ourselves, there is no magic cure. Plus it makes it fun to experiment & see what works the best. Also, it takes a while to get use to this especially after decades of variable length. Seeing a 4 iron in a 7 iron length, you go "wow" until you hit the 4 iron so sweet and then you go "WOW". Another CON, I let a junior try my F8 8 iron and he hit it on the toe with a range ball. Now, that toe area with the chrome is marked with the dimples from the range ball. I cleaned and cleaned it and I can still see the dimple marks under certain angles of light. I have never seen how a ball strike can leave a mark on a chrome surface. Kinda shocked me that the chrome is not tougher on these iron heads. I've owned my iron sets, never once complained about any chroming issues until now. This caused me to reduce an automatic 5 star rating to 4 star because of the weaker finish. 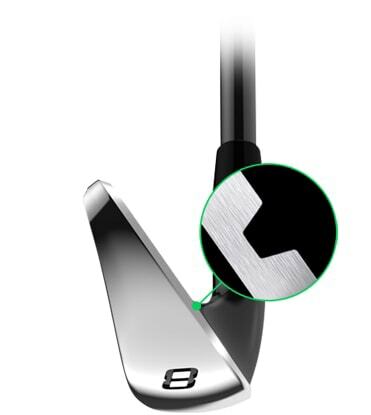 REWARD - you'll see more consistent ball striking, the miss is less because going "wild" on a variable length long iron is way worse than that same bad swing on a 7 iron. 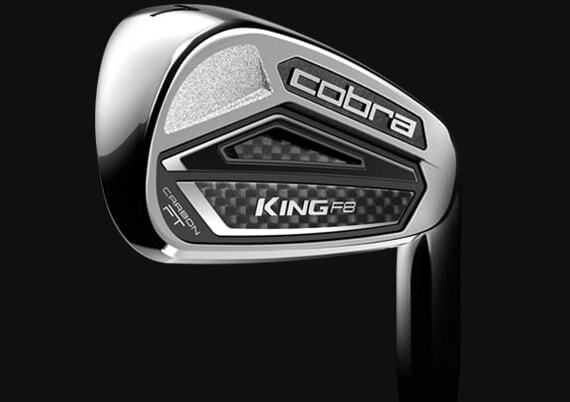 Nice job on the F8 irons Cobra. SIDENOTE the Forged Pwrshell is great. I love this technology. However, I thought the Pwrshell was from 4 iron to Pitching wedge. It's not, its only from 4 iron to the 7 iron. Just note that because it's not spelled out on this website. Being a player with a very bad back and amputee 1/2 right foot the same length clubs would be ideal. Being able to swing the same way each club would be consistent for me.